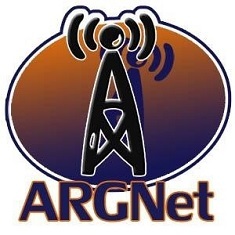 In this supplemental, special netcast, the panel from episode 9 return to talk about ARGFest-O-Con. This is a very informative, relatively short netcast dedicated solely to discussion about the 7th installment of the ARG discussion conference and social get-together. Subscribe to the ARG Netcast feed through FeedBurner or via iTunes. ARGFest-O-Con 2007 is the 7th in a series of social events for the alternate reality gaming community. From the website: ARGFest-o-Con 2007 will be held Friday through Sunday, March 2-4, 2007, in San Francisco, California, USA. The focus will be on “How to PM a Game” and “the Future of ARGs” (these are working titles). The web site has a handy wiki where people interested in the event can communicate with attendees, view schedules (under construction), and get information on accommodations. Speakers for the event, so far and officially announced, include Adrian Hon (Mind Candy), Evan Jones (xenophile), Kristen Rutherford, Brooke Thompson (Giant Mice), Krystyn Wells (glitterbook), Sean C. Stacey (Unfiction), speakers from sf0, Dave Szulborski, Brian Clark (GMD Studios), Jane McGonigal (avant game), Steve Peters (42 Entertainment), and keynote speakers Elan Lee and Sean Stewart of 42 Entertainment. Stewart will also be signing books at the event. Events are still being planned, and restaurants are still being chosen for social gatherings. Registration for the event is $10 US, which gets you a neat-o registration package. Registration will be available online soon, watch the web site for updates. A Fest Quest is in order, but the organizers need locals to step in and help out. Sponsors are needed to help out with costs. Also, if you are particularly good at dealing with the media (who have expressed much interest), there’s a job waiting for you. Contact us here at ARGNet if you are available to help out with any of these situations. A T-Shirt contest is open for the event, but will close soon. There’s a fabulous prize available, so enter now and enter often! We go on (and on, and on) about how much fun these fests are. You just have to attend.